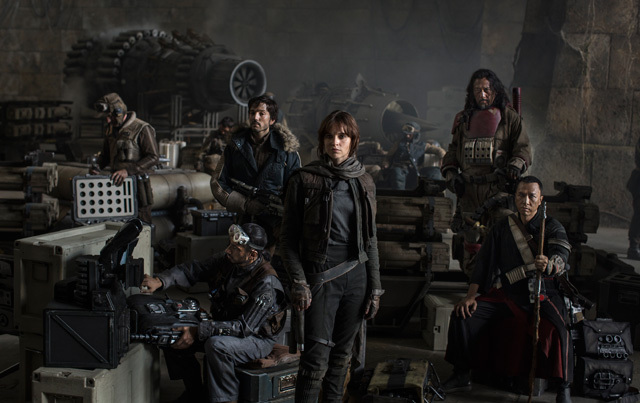 Diego Luna and Donnie Yen are two of the biggest stars in their respective countries, but they’re about to become household names in the U.S. as Rogue One: A Star Wars Story hits theaters this week. One of Hong Kong’s biggest action stars, Donnie Yen stars as Chirrut Imwe in this Star Wars spinoff. While his character is a follower of the Jedi philosophy on a world under Imperial rule, his life is made even more challenging by the fact that he’s blind. But that doesn’t slow him down, as he’s able to take on ten Stormtroopers with nothing but a staff. Yen’s skill in Wing Chun martial arts makes his character one of the more noteworthy in Rogue One. Leading him in the ragtag band of rebels is Diego Luna as Cassian Andor. One of the hottest stars in Mexico, Luna takes his first major foray into the Star Wars Universe as a spy for the Rebel Alliance. But while other heroes like Luke or Leia join out of innocence and hope, Cassian has a dark side that makes him most suitable for the most difficult missions for the Rebellion.